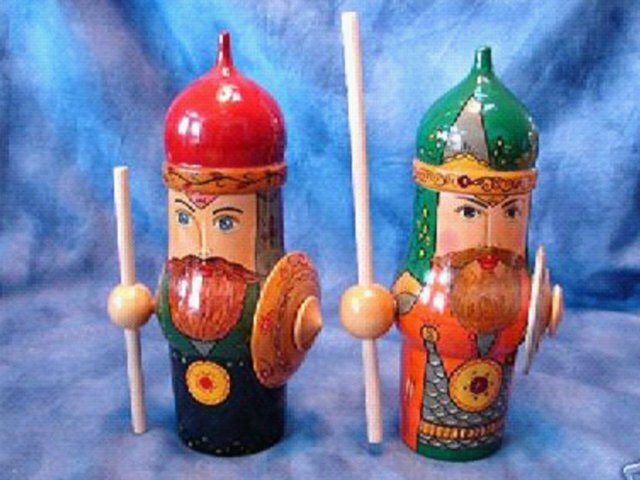 This is a very nice pair of large wooden stacking Warriors. They measure 9 inches tall and are both marked MADE IN RUSSIA. The helmets remove and are hollow inside.